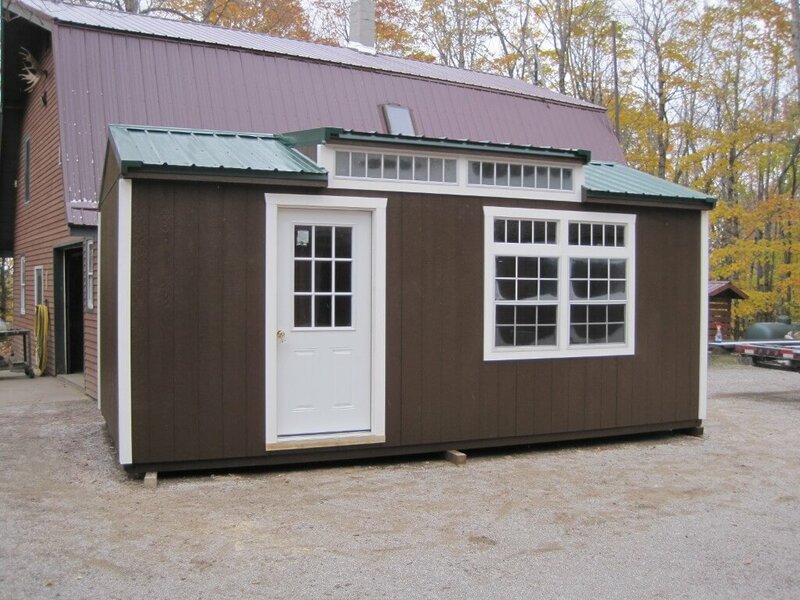 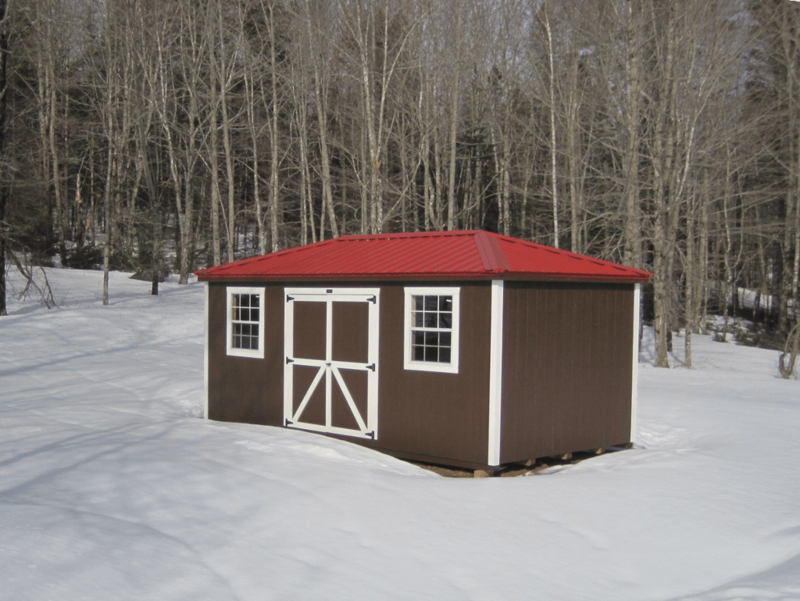 A-Frame style sheds are available in 4 widths—8’, 10’, 11’6”, and 14’ and up to 38’ in length. Standard 4’ double door on models 8. 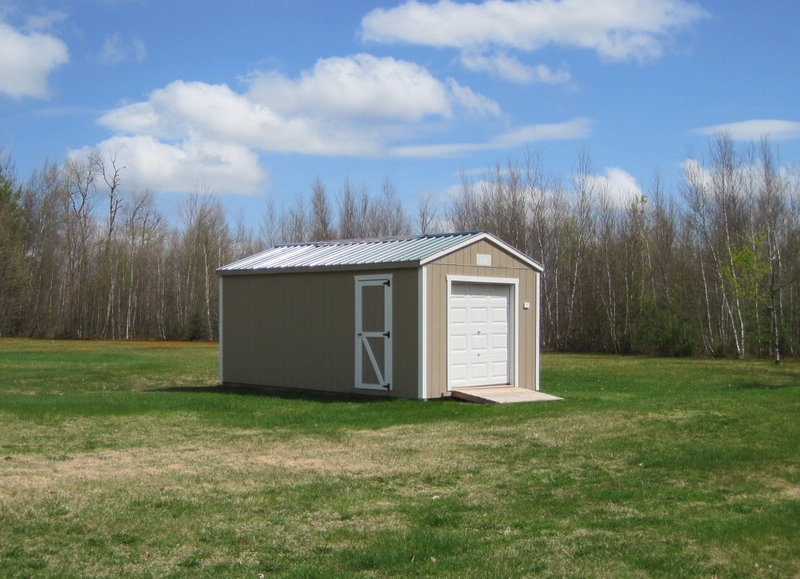 Standard 5’ double door on models 10. 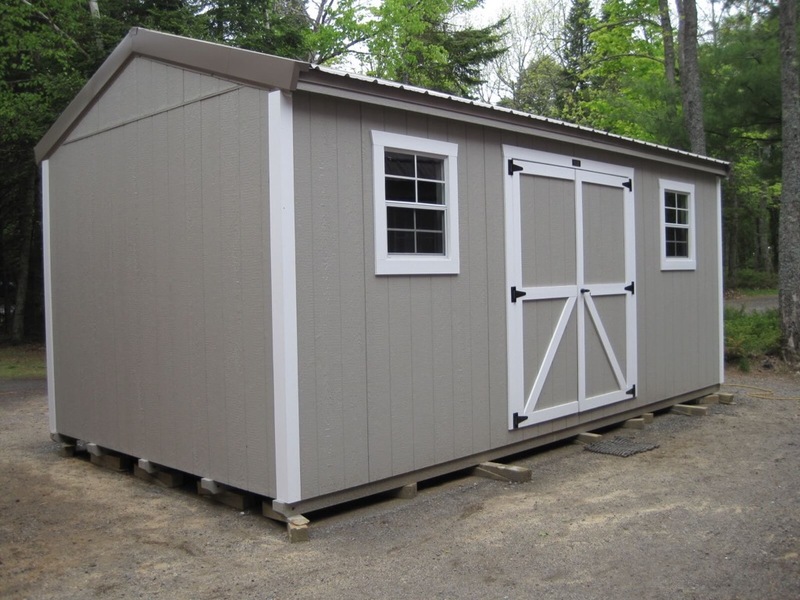 Standard 6’ double door on models 12. 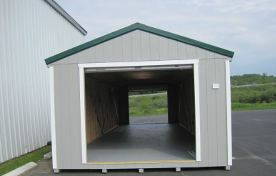 Standard 8’ double door on models 14. 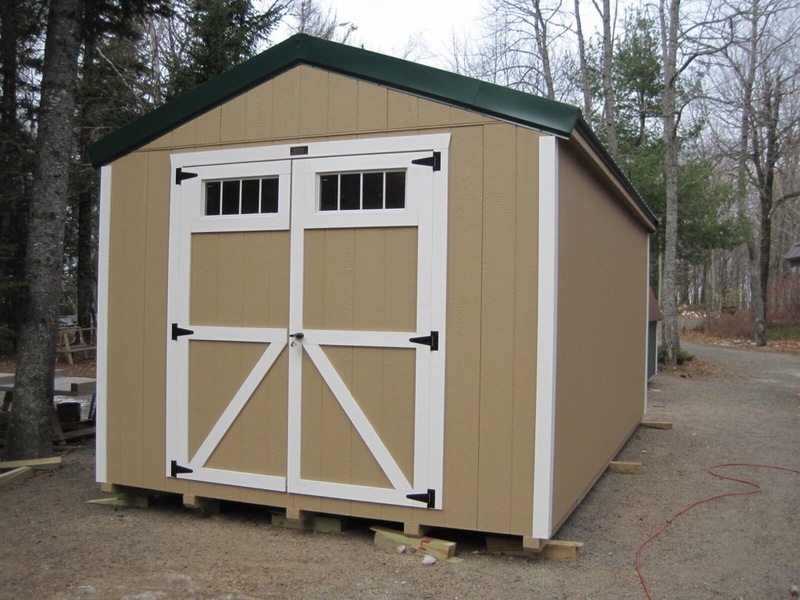 Spring loaded barrel bolts top and bottom of one door and an individually keyed lockable handle on the other door. 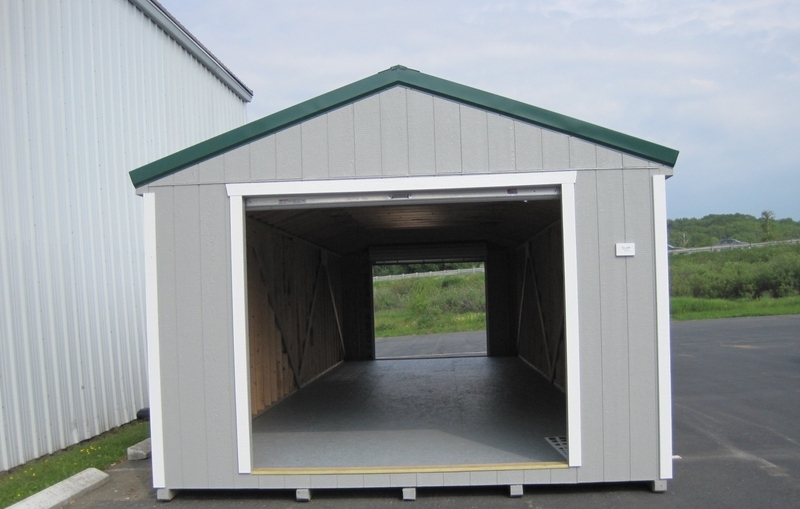 These doors sit on a pressure treated sill.